This week we have talked about celestial and human matters. If yesterday we knew the name of the new Pope Francisco; today the European Court of Justice has pronounced sentence that will affect our system of executing mortgages. There have been a lot of different headlines in newspapers and every affected person has his personal opinion about it. At the end, everybody is asking if the evictions are going to be halted or they are not. And this question, I’m afraid, has not an easy answer. Before telling an opinion about this case, we should know that the problem is not if evictions are legal or illegal. The most painful is the awful economic situation we are at, caused by the crisis of our system of contracting mortgages. 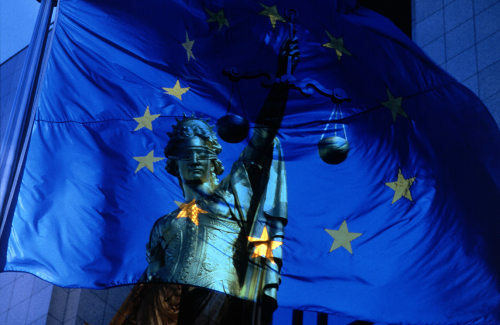 This way, the sentence of the European Court of Justice will probably relieve the problem of a lot of families. And that is really important, but it doesn’t solve the origin of non-payment. In this question we still are at the same tricky situation, probably for a long time. The sentence shows three main aspects: 1) the borrower is not protected during the execution of the mortgage; 2) the best he could get, even being right, is a compensation that wouldn’t solve the problem of losing his house; and 3) some clauses are abusive (mostly those related to interest from delay, to calculate early debt and, specially, early expiration date). After the sentence, the Spanish judges must control these aspects. That’s good, but other problems will appear if the legal setting doesn’t change. Looking at the loans that are at the execution phase: 1) there is neither procedural course nor homogeneity, and this will delay executions, which is good for some people and bad for others; 2) it will cause and increasing chaos at Spanish Court of Justice that we are already suffering. About the new loans, the legal uncertainty will cause a financial problem, because probably: 1) Banks will not want to lend money in this situation; y, 2) the charge of the loans (interest) will increase. Of course, the sentence let people choose other options. Probably, a lot of agreements and executions will be reconsidered. And when this thing happens, the judicial procedure will delay. The sentence, although no one says that, can be too applied in extrajudicial sales in a notary public. Those sales are more questionable now because it is more difficult to value what the notary does in this juridical situation. Anyway, something is going to change deeply. Welcome the relief to evicted people. It will be interesting to see how the government solves this problem. (*) Este post es una traducción del publicado en este blog el día 14 de marzo de 2013 con el título de “Los desahucios hacen aguas: El día después de Europa”. La traducción ha sido realizada por Iker Inchauspe Prego. Iker, además de amigo, es el director del proyecto San Juan Bilingüe y de Levantia. San Juan Bilingüe es un proyecto pionero en Alicante que busca la inmersión lingüística y un recíproco enriquecimiento entre nativos de habla inglesa y española, además de fomentar relaciones personales y aprovechar la sinergia que ello conlleva. Desde aquí agradecemos a Iker su aportación y le deseamos el mayor de los éxitos.